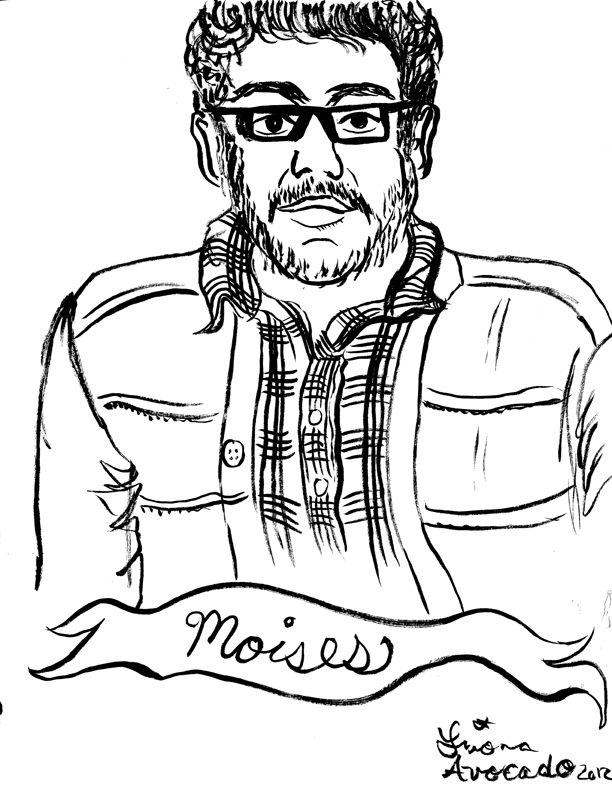 I drew this portrait of my cartoonist friend Moises yesterday. If you are in the Portland area tomorrow, you can come get yours done too! I’ll be drawing portraits at SCRAP’s Holiday Bazaar tomorrow from noon-4pm. The fair itself is from 10am-6pm, I’ll be drawing from noon-4pm. It’s at SCRAP’s store on 2915 NE Martin Luther King Jr. Blvd., Portland, OR 97212. If you aren’t in Portland: I gladly do commissions and will do your portrait! They make great gifts. Contact me directly if you are interested and we’ll talk details.